If the spectacle of World Cup Soccer in South Africa inspires you, a new film by ESPN, titled Outside The Lines, will make your day. Outside the Lines is a remarkable short film that reveals a little known chapter in the history of South Africa. Did you know that political prisoners at Robben Island Maximum Security Prison created their own league including hand-sewn uniforms, hand-made trophies and original cheers? Two of the Robben Island Singers, Munt and Grant, played in this league. Their team was called Jaws. The loudest cheerleaders on the sidelines were known as howlers. The film weaves interviews with gritty reenactments and gorgeous location cinematography. Watch it to see how political prisoners from Robben Island can inspire the world. 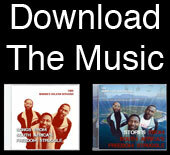 Visit our project website for more about our own documentary, Robben Island Singers.